Property developer GURNER has been granted planning approval for a $200 million-plus 25-storey twin-tower project in Footscray. 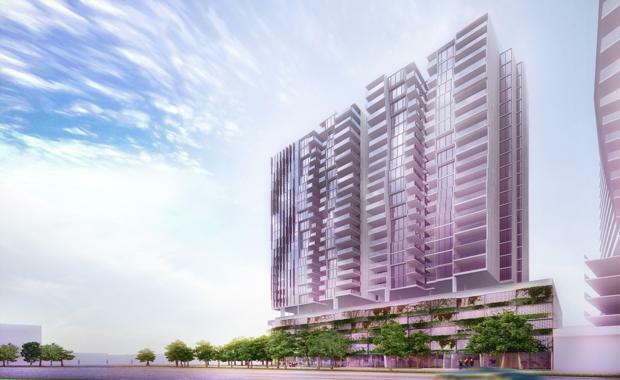 The development will be built at 1 Warde Street, which is situated within the State Government's Joseph Road regeneration precinct. Formerly zoned industrial, the fifteen hectare site is located five kilometres to the west of Melbourne’s CBD and was rezoned by the State Government as a Priority Development Zone in 2008. 1 Warde Street will comprise two twenty five storey buildings, featuring 350-380 apartments with 4000sqm of retail at ground level. Having acquired the site over four years ago GURNER founder Tim Gurner (pictured) said the project would deliver high-end luxury apartments with views of the CBD at a price that would undercut the market. “The site was purchased over four years ago when prices were sitting below long-term averages so we are now able to pass this on to purchasers," he said. “Having just received planning approval from the State Government we will now move into the early design stages and we hope to bring this project to market in early 2016. “This regeneration precinct in Footscray is the perfect opportunity to breathe new life into a former industrial precinct and create a thriving residential, retail and cultural hub within five kilometres of the CBD. “I have absolute faith in the Planning Minister and his vision for Joseph Road precinct to become a thriving new hub and we are excited to work together to help deliver this vision. "GURNER has chosen long-time collaborator, Elenberg Fraser to design the project. GURNER will now embark on the design process with the Warde Street site slated for launch at the beginning of 2016.